If you’re tooling around Austin today, make sure to stop at one of the Austin Bakes for Bastrop bake sales. Here’s a list of all the cool places you can find a sale. 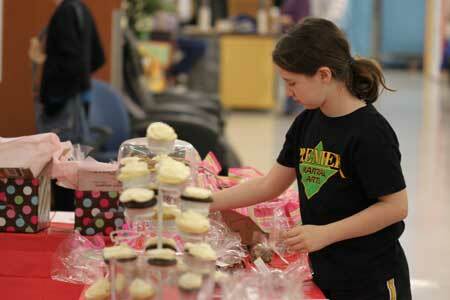 Cash and checks are accepted at all bake sale sites, and gifts may be made via the secure online giving page any time. All funds raised online and at the sale will go directly to The Austin Community Foundation’s Central Texas Wildfire Fund. Gifts made via check and through the secure online giving page are 100% tax deductible, and will be acknowledged with a tax receipt from the Austin Community Foundation. Fuzz and I dropped our goodies off this morning at the Community Renaissance Market, an old Albertson’s grocery store that has been converted into a big space housing art, antiques, general merchandise and food vendors. There’s even a cute little restaurant/cafe called Native Nom Nom which occupies the space where the Albertson’s bakery used to be. Or was it the deli? I can’t remember because I only went to that place once or twice when it was an Albertson’s. Anyway, the place is really neat and if you live in Austin it’s worth checking out even if there’s not a bake sale going on. Here are a few more pictures from the sale. 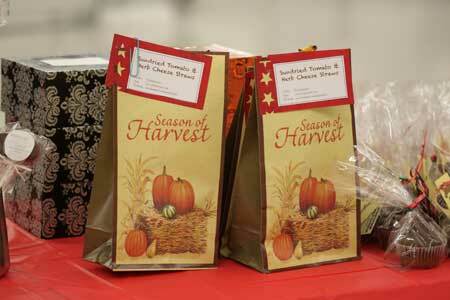 I love seeing how people set up display tables and package their goodies. I’ve just never heard of something city wide like a Minneapolis bake sale..I’ll have to check it out to contribute and buy if they have it next year! Gloria! Really? 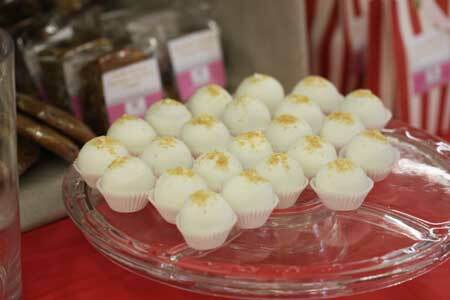 No bake sales? I wonder if it’s a metro thing? OTOH I know my daughter has made goodies for bake sales and she lives in the heart of the city. Anna, what is Elvis granola? I’m glad the bake sale was so successful! Kat, thanks for your sweet comment. 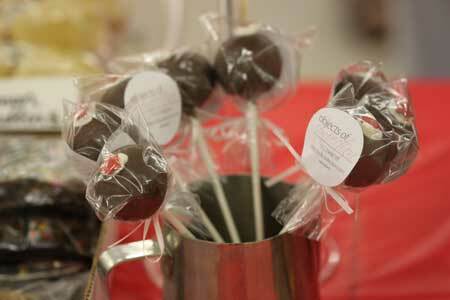 Louise, cake pops were well represented, but I didn’t bake cake pops. Gloria, I think the bake sale raised over $13,000! My contributions were some special peanut butter cookies, the peanut butter and another flavor of granola (not Elvis), some chocolate cherry cake like the one I made earlier this week, peanut butter & jelly bars and nut bars. What goodies did you contribute? You live in a generous community. I’ve never heard of a bake sale in Minnesota..at least not recently since everyone is afraid someone will “spike” goodies… Oh well. Are those your cake pops? I hope everyone was really generous today. 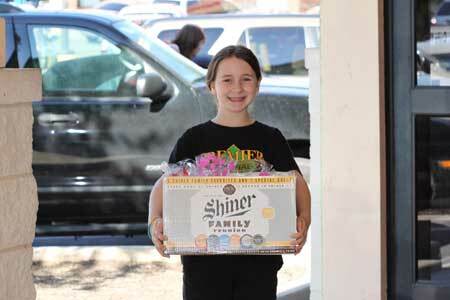 As a resident of Bastrop, fire survivor and a long time follower of your blog, thanks for caring and supporting us! 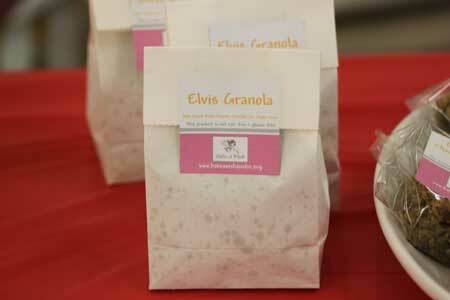 Love the “Elvis Granola”. Wish I was there to see the event!